What used to be a small town on the east coast of Spain, Benidorm has morphed into one of today’s top tourist destinations. The numerous clubs, late-night bars and cabaret attracts many UK and European holidaymakers, out for nightlife, entertainment and good-quality Spanish beer. No family holiday to Benidorm is complete without a trip to the beach. The clean, white sand and clear blue waters of the Costa Blanca are second to none. Levante and Poniente are two fine beaches that families will love. Levante tends to welcome teens and young singles, whereas Poniente is likely to be more suitable if your kids are quite young. Both beaches are equipped with volleyball nets and football goal posts, leaving you no choice but to enjoy fun in the sun and also giving the chance to burn off a tapa or two while you’re at it. The waters of the Mediterranean will beckon you and your kids to jump right in. Adults and children who are over six years old might want to check out a water sports school. There you can try your hand at kite surfing, water skiing and wakeboarding and see who’s better - you or the kids (you can always savage your pride and declare it a draw!)! See what Benidorm has to offer on two wheels. You can hire bicycles for the whole family and spend the day cycling along the specially allocated cycle lane by the beach. If you want a longer, more organized ride, you can book a family bicycle tour. There are tours for families with kids of all ages, including a smashing, guide-led family bike tour through Albir and Altea, two of Benidorm’s neighbouring towns. Nothing excites - and wears out - children more than a visit to a theme park. They love ‘em! Lucky for you, Benidorm has a selection of parks so you can pick the one - or ones - best for your family. Terra Mítica features the four ancient civilisations that used to rule the area, giving this theme park a slight educational edge. Then there’s also Terra Natura, an animal park which features more than 1,500 animals, and water parks Aqualandia, Benidorm’s first water park, and Aqua Natura. Finally, consider taking the whole family out to a cabaret show. Benidorm is known for its cabaret and although many shows are geared towards adult audiences, there are family-friendly performances as well. Benidorm Palace offers cabaret suitable for the whole family, giving you and your kids a chance to appreciate the elaborately costumed dancers, performers and illusionists. In Benidorm, you and your family have it all. You can splash around in the sea or the water parks (or both! ), you can explore, you can relax or you can visit a cabaret performance and let someone else do the entertaining. 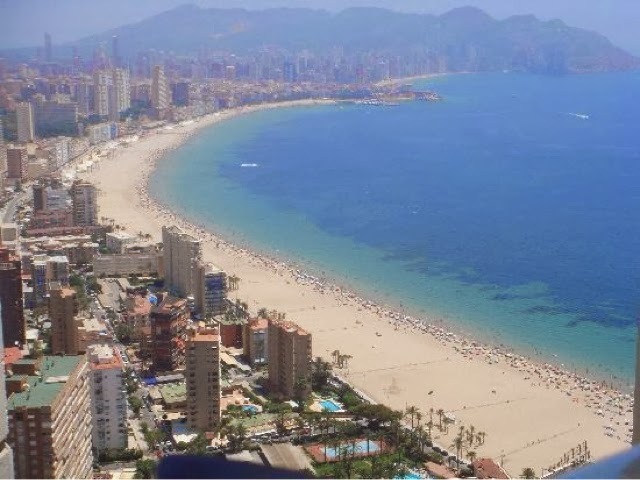 The choice is yours, and you can be sure a holiday in Benidorm is one decision that will make all of the family happy. Have you been to Benidorm? I've only been to Benidorm as part of an adult couple and not as part of a family but I really enjoyed it. We went out of season and thought it would be ok to go again when we had children. My son is now at the age when he wants to go on a plane so I think this would be perfect for him as it's a short flight and there plenty to do when we get there. To figure out how to Kitesurf, for the time being as a novice it is better to begin with a coach kite and ask an expert to guide you on propelling, controlling, and arriving.